Create a masonry-inspired look that provides a classic appearance. Stewart Signs has been committed to your success since 1968 and has created nearly 50,000 signs nationwide. of a sign designed for your needs, just request a Free Quote! Our Cornerstone collection offers a classic masonry-inspired look that complements more traditional architecture. With optional changeable letter tracking or LED display, you can also use these signs as a communication tool! 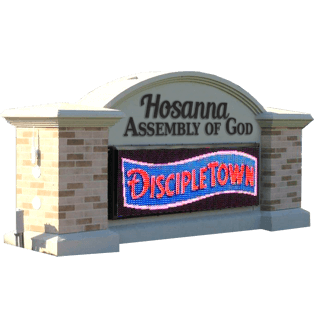 Constructed from a solid EPS foam core and then hard-coated with thick polyurethane for strength, these signs are as affordable as they are durable. A 100% acrylic textured finish resists fading, impact and harsh weather. These prefabricated sign systems are easily transported and simple to install. Our Cornerstone Collection has over 50 different models to choose from, and is protected with a lifetime warranty! Enhance your grounds and become a source of civic pride with a professionally designed and constructed sign. We will provide the quality sign that will project your name out into the community! Constructed with an EPS foam core and polymer hard coat. Superior impact, moisture, rot and insect resistance. Lightweight and easy to transport and install. No exposed seams or fasteners creates a solid appearance. Over 50 different models to choose from. An industry-leading lifetime warranty on every model. Want a classic look with modern technology? Combining our independent LED cabinets with our monument-style signs, you can pair technology with tradition! See our Monument LED product for more information. Our Cornerstone collection is available in a wide variety of sizes to suit your needs. All measurements shown are approximations; dimensions of final product may vary. Click on a model to enlarge. 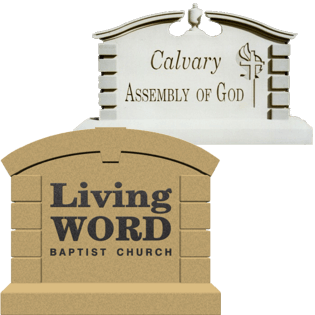 Our monument signs are highly customizable, providing your organization with a distinct appearance. Two-tone paint is available on some models. 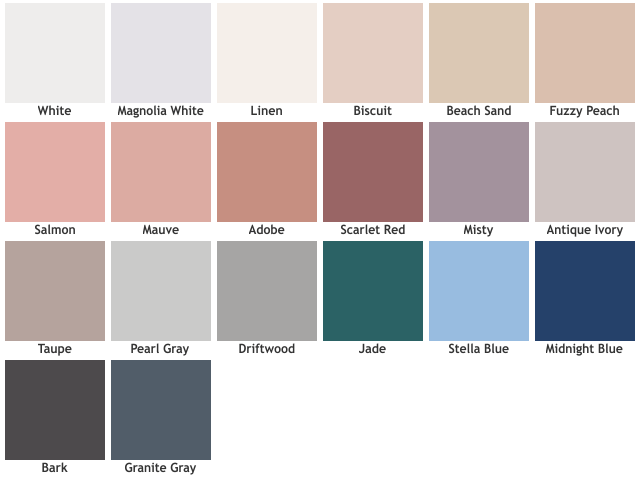 Due to differences between monitors and display settings, the color samples shown are close approximations of our true material colors. Custom colors are available. Changeable letter message areas and LED displays are available on some models. See our Monument LED model or contact us for more information. With nearly 50,000 signs out-in-the-field, we're located across the country and around the world. Find the Stewart signs that are near you!